Coral Celebration | Zonyxa. Unique and contemporary jewellery for Work. Love. Play. 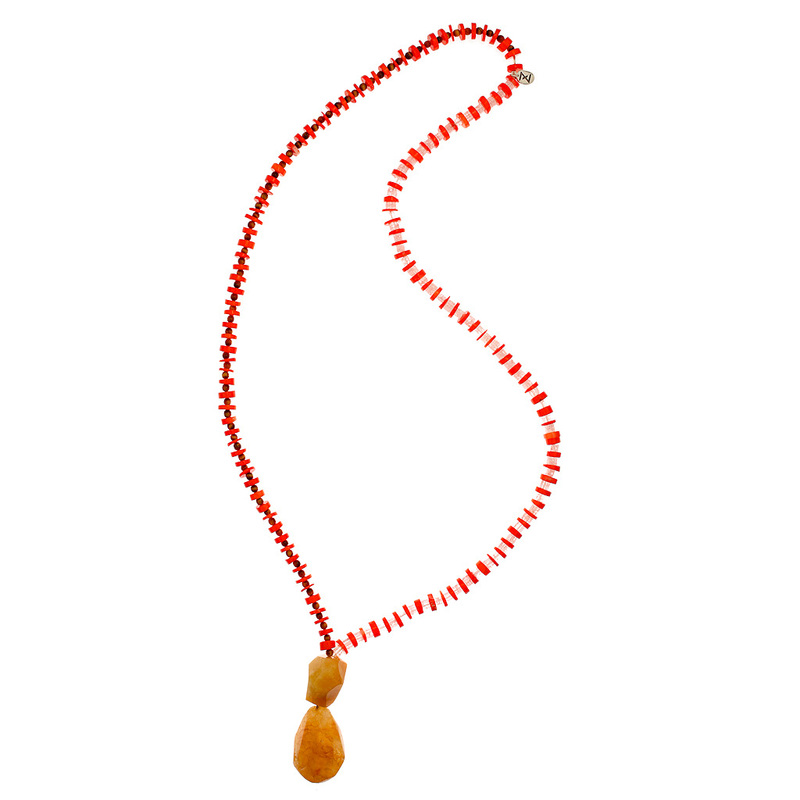 This long, stunning, one-off necklace contrasts orange coral, tiger eye and ice quartz and features a tactile aventurine as a pendant. Material: orange coral, tiger eye, ice quartz, aventurine.